From the street, house numbers may not always be clearly identifiable or visible. While this may cause difficulties for home visitors, more importantly it can cause confusion among firefighters, police and EMT staff in the case of an emergency. For this reason, volunteer firefighters from Hose Company №1 have taken it upon themselves to hold a Curb Address Fundraiser. 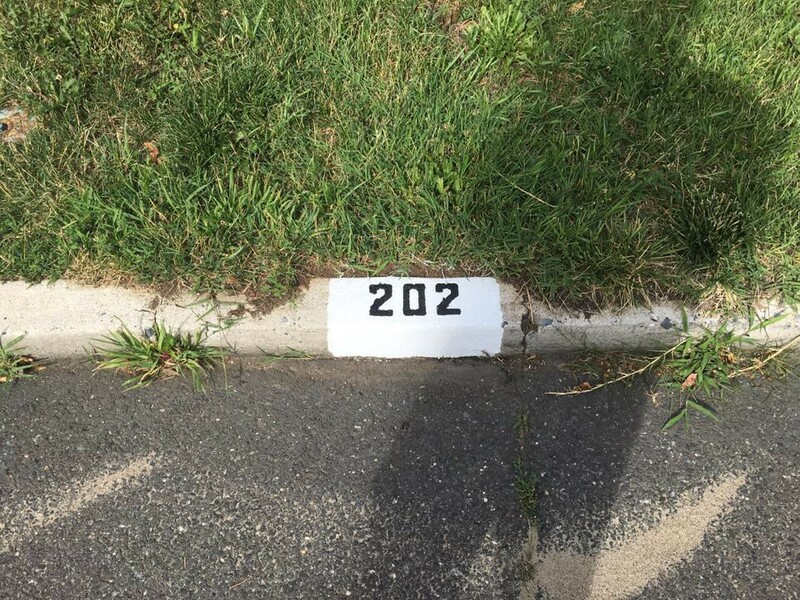 Hose Company №1, one of the three volunteer fire companies in Moorestown serving the community for more than 125 years, is painting house numbers on the curbs. Completed by the company’s 25 volunteers, the painting costs $20 and all proceeds will go directly to the fire company. David Chezem, who has been a volunteer firefighter for 26 years and has spent half of those years serving Moorestown, came up with this idea when he saw other companies completing the same project at the end of last year. He thought the concept was great, and because the fire company is always looking for new fundraising ideas, saw it as the perfect opportunity to raise money while simultaneously assisting the community. The numberings consist of a three-inch black letter over a white background and can be positioned in one of three places on a property. First, they can be painted on the front edge of the curb if there is sufficient space, and if not, they can alternatively be painted on the top of the curb. They can also be placed on the road if no curb exists, and the company aims to paint within six feet of a homeowner’s driveway. Rust-Oleum has donated all paint needed to complete this initiative. All proceeds from this fundraiser are being utilized by the company to either purchase new furniture for the fire department or to be put toward the Andrew Stowell Scholarship. This scholarship remembers Stowell, a member of the Moorestown Fire Department and Hose Company №1 who passed away at age 26 from a genetic heart defect in August 2014. Today, the $500 scholarship in his honor is awarded to a graduating high school senior interested in pursuing a career in emergency services or nursing. Although this opportunity presents a voluntary option to support the local fire department, the department has stressed that these markings will help emergency personnel to better locate a house, even with their preexisting GPS devices, in the event of a crisis. However, this option does not replace the requirements set forth in the code of the Township of Moorestown Order Number 1785–96, Chapter 49. To request that a house be painted through this service, interested homeowners should contact HoseCompanyNo1@gmail.com. Payments for the painting of house numbers can also be made via PayPal using the email address provided or by using cash. If using PayPal, it is important that residents include their address in the notes section of the payment.